Amazon recently announced that more than 100 million devices with Alexa have been sold, and the voice assistant continues to be built into more and more products. Alexa is invading our lives in a way that we couldn′t have imagined a few years ago. AMAZON ALEXA AGAIN ROCKED the Consumer Electronics Show CES 2019 in Las Vegas. With millions of Echo and Dot smart speakers sold during the 2018 holiday season, Amazon has extended its reach around the world. Alexa-compatible gadgets at the show included home theater sound bars, multi-cookers, TVs, smart glasses and even toilet seats. Here′s a look at some of the more unusual innovations that were on display. 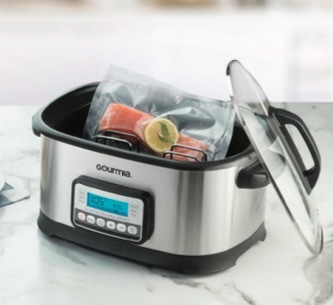 Gourmia promises that inside its 11-in-One Multi Cooker Deluxe are all the secrets to deliciously flavorful entrées, appetizers, one-dish dinners, desserts and more. Functions include sous vide, saute, bake, steam, stew, roast, rice maker, slow cooker, yogurt and keep warm. It has a 6.5 quart capacity stainless steel housing, tempered glass lid, and a die cast aluminum insert that is nonstick and dishwasher safe. Gourmia′s mobile app for iOS and Android lets you control the cooker from anywhere. With the smart assistant Mia, you can remotely manage cook modes, times and temperatures, find recipe ideas and receive alerts. We particularly liked one line from the press release: "Mother-in-law coming for dinner? Press the Roast button." 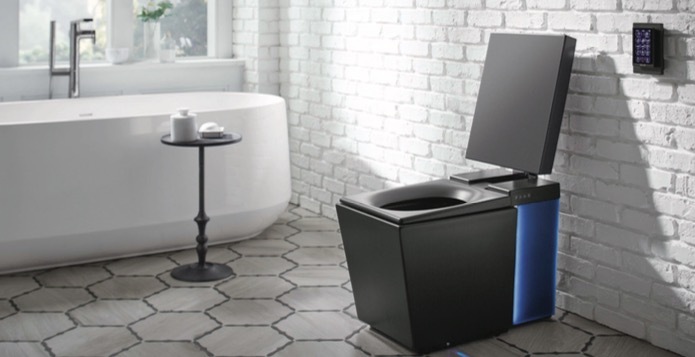 Kohler claims that Numi is its most advanced toilet yet, combining design, technology and engineering for the nest in personal comfort and cleansing. These design and engineering innovations include a motion-activated cover and seat. Front sensors react to the movement when someone enters the bathroom for hands-free opening and closing of the cover. Motion at the floor level engages sensors to raise and lower seat. Numi also comes with a heated seat and even a foot warmer, which directs warm air through floor-level vents to heat the floor surface. Naturally, it would not be the world′s most advanced toilet, if it wouldn′t feature a self-cleaning wand with multiple options for water spray pattern, wand position, water pressure and temperature. There are also illuminated side panels with a day-of-the week mode, so they can be set to a specific color for each day. To control all these functions, the Numi comes with a touch-screen remote with magnetic docking station. Moreover, it is also equipped with embedded Amazon Alexa for easy voice control to activate the various toilet features. Alexa commands can also be used for checking weather and traffic, listening to music via Bluetooth, or to access the latest news during user interaction. We thought that smart glasses were dead after the demise of Google Glass, but at CES the concept attempted a comeback. The Vuzix Blade headset is the first pair of Alexa-compatible smart glasses. They are designed as a perfect companion to a smartphone, allowing users to interact with their phone hands-free. Users can see overlaid information, indoors or out, such as mapping directions, restaurant menus, weather information, alerts and more without picking up the phone. 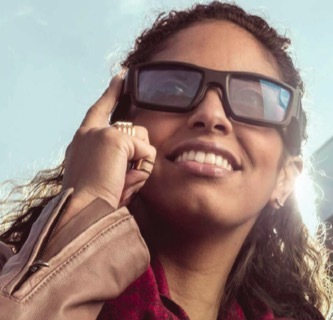 Vuzix Blade AR smart glasses provide a wearable smart display utilizing Vuzix′s proprietary waveguide optics and Cobra II display engine. The headset takes video and photos, and plays audio through integrated headphones. It can also display images, video, apps and messages right on the lenses. Alexa support functions as an app that uses the onboard noise-cancelling microphones. The Alexa app can show search results, play audio, and more. The Consumer Technology Association seems to be confident that there is a future for smart glasses. It gave the Blade a CES 2019 Innovation Award. Maybe you like the convenience of controlling your home through a voice assistant, but are still concerned about your privacy. One might say that you can′t have both, but actually yes, you can. The solution comes in the form of Project Alias, which its designers dubbed a "friendly parasite". Essentially, this is a voice assistant for your voice assistant. It sits on top of the speaker of your Google Home or Amazon Echo system, and its 3D-printed shell actually looks like some kind of parasitic mushroom. Alias aims to prevent your virtual assistant from hearing everything you say. It does so by playing white noise close to the systems microphones, so Alexa cannot hear you. Alias itself is again voice activated. Once you call it by its name, it stops the white noise and passes on the appropriate trigger word, so your virtual assistant can hear you again. Designer Bjørn Karmann built Alias to respond to custom names and even to learn your voice over time. This should help to make sure you don′t accidentally trigger Alexa when you don′t want it to listen. For now, Project Alias is a Do-it-Yourself product. You need a Raspberry Pi mini computer, microphone, speaker, cables and some basic wiring skills. You also need access to a 3D-printer to produce the shell. The designers describe mui as a new intuitive, natural user interface. It actually looks like a piece of sanded wood. There is an array of interactive LEDs beneath the surface, which are invisible when not in use. What′s left then is just the natural appearance of the wooden facade. 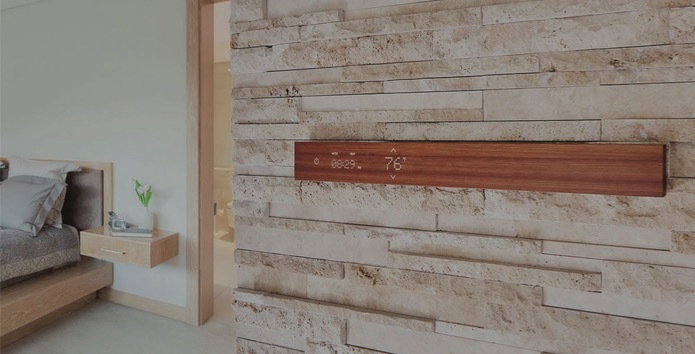 Mui Labs describes it as a calm design device, built with natural wood that serves as a smart home control hub. The digital display appears with a swipe of the hand. 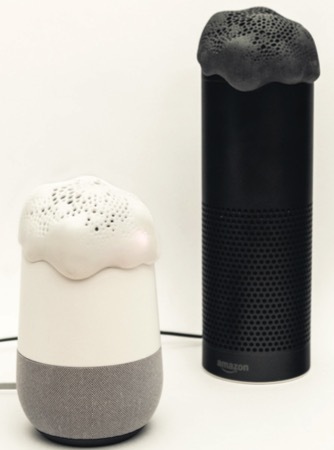 Thanks to embedded Alexa connectivity, you can talk, send and receive messages, check the news and weather, and control smart devices like lighting, thermostats and more. When you are done, the display disappears, and the panel looks just like a piece of wood again. There is an API available, so skilled programmers have the tools to customize mui if they choose. The idea behind Mui Lab′s approach is to limit the persistent, ever-present distraction of computer screens today. mui doesn′t constantly demand your attention as smartphones do. It is a "calm" device, designed to create a relaxing, distraction-free digital environment. When mui is asleep, the creators say its natural appearance will calm. Even while it′s in operation, the experience is meant to be relaxed, casual, not all-consuming. Mui Labs hope that mui allows us to be more mindful readers, more creative artists and better families.